On Saturday, December 23rd 2017, the Eve of Christmas Eve and unlike any other ordinary day, Richard awoke in heaven. Nobody knows when they will be called home. He did not know the day or the time, and yet he was ready. Richard went to bed on Friday night, just like any other night; his slippers placed in a neat line next to his bed, his glasses left on the nightstand and his clothes for the next day hung in the closet ready for the usual day ahead. Like any other ordinary day, the sun came up right on time as it always does. The birds outside made their familiar sounds and Richard’s two cats chased each other from room to room, playing or fighting depending upon the moment. Ordinary, best describes this particular day and his life at work and at home. Quiet by nature, he preferred to listen rather than talk. His friends and neighbors will remember his willingness to help, his compassion, and his desire to serve others. It was common for him to get groceries for a neighbor, to plow a driveway, or fix a fence. He was often an ambassador of goodwill, delivering quiet acts of kindness for those in need. Richard was an organizer, a planner, and a self-proclaimed garbologist. Nothing left untouched, unscrutinized or unorganized, even his garbage took on the resemblance of a neatly prepared gift to the landfill. Thought went into every detail of every moment. Richard had worked as a foreman for Eaton Corp for over 30 years in Kalamazoo and later in Marshall, until he retired at 55 years old. He and his wife loved spending time up north with family, fishing, attending garage sales, antique restoration and woodworking. An avid reader and consumer of news, he was quick to talk politics with anyone. In 1961, he was married to Shirley Gurnsey who preceded him in death in 2000. Surviving are his children, David (Cindy) Barry of Holland and Tom (Alicia) Barry of Battle Creek; grandchildren, Andrew, Katelyn, Caleb, Lucas, Noah, Lindsey and Chelsea; great grandchildren, Melody, Aryah and Emory; siblings Robert Barry of Portage and Jim (Diane) Barry of Schoolcraft; sister-in-law, Noreen (Robert) Cramer of Lawton and several nieces and nephews. According to his wishes cremation has taken place. Burial of ashes will take place at Battle Creek Memorial Park. In Lieu of flowers memorials may be made to a charity of your choice. Although, he did not welcome the day, he did not fear the day, for he knew what awaited him. He planned this day right down to the last detail. What was the last detail you ask; the smile on his face as he lay sleeping. Richard passed away Friday, December 22, 2017 surrounded by his loving family at Bronson Commons in Mattawan. He was born July 18, 1944 to Owen and Rosa (Pierce) Pathic. Richard had been a police officer and chief for the Mattawan Police Department for 5 years. He had owned and operated Richard Pathic Construction and after 20 years as a corrections officer he retired from the State of Michigan. In his free time Richard enjoyed hunting and fishing. He was a member of the Masons and Elks Lodge. Surviving are his children, Bill Pathic of Allegan, Stacey (Jim) Sprau of Otsego, Dori (Todd) Putman of Kalamazoo and Richard Pathic Jr. of Mecosta; 9 grandchildren; 1 great-granddaughter; companion, Shelia Hayse and siblings, Pat (Max) Goff and Evelyn Williams. He was preceded in death by his parents and siblings, Owen Pathic Jr., Billy Pathic, Mary Fargo and Beverly Joyce. Friends may visit with Richard’s family from 3-4 P.M., Wednesday, December 27, 2017 at the Winkel Funeral Home, Otsego until the time of the funeral service at 4:00 P.M. with Celebrant Bill Rose officiating. Burial will take place at Riverside Cemetery in Kalamazoo at a later time. 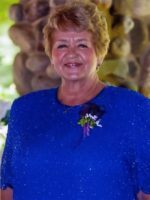 On December 22, 2017, Pauline Elizabeth (Troff) Channells passed away at Stanford Lodge Assisted Living in Plainwell, MI. Pauline was born on April 7, 1932 in Kalamazoo to Joseph and Jessie Troff. A caregiver from the start, Pauline helped care for her four younger siblings before making her career. She worked as a nurses’ aid for the Plainwell Sanitarium, a home caregiver for Kalamazoo Senior Services, and ran an adult foster care home for a number of years. 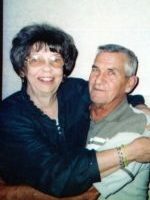 Pauline married George Channells on February 25, 1949 and the two made their home in Martin, MI. There the couple raised their children, built their home, and Pauline helped George design and build their dream home, a log cabin they had both loved. An avid animal lover, Pauline was quick to take in any stray animal needing a home, and she was rarely without a cat or dog in the house. She loved to cook, and was known for the wedding cakes she would make for family. Mostly, Pauline loved her family. She was the host of almost all family gatherings, and was always the most excited when a new baby was expected. Pauline is survived by her sister, Shirley Johnson; her brother, Harm Troff; her children, George (Catherine) Channells, Brook Kievit, Rodney Channells, Joseph Channells, and numerous grandchildren, great-grandchildren, great-great-grandchildren, nieces, and nephews. Pauline is preceded in death by her parents; her husband, George Channells; son Todd Channells; son-in-law Tom Kievit; sisters Minnie Gordon and Sharon Blankenship; and step-father David McClendon. A graveside service will be held on Saturday, January 13, 2018 at 2p.m. at the South Martin Cemetery, with refreshments to follow at 851 E. 112th Ave., Martin, MI. In lieu of flowers, the family asks that donation be made to Hospice Care of Southwest Michigan. Messages of condolence may be posted www.winkelfuneralhome.com. 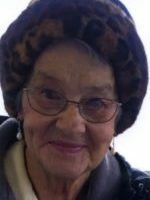 Beverly passed away Friday, December 22, 2017 at Life Care Center in Plainwell. She was born February 1, 1938 in Plainwell the daughter of Bruce and Margaret (Mott) Fenner. Bev had worked at Parker Hannifin for 14 years. She was a skilled seamstress and had owned and operated Bev’s Threads for 20 years. Nothing brought her more joy than using her sewing talents for others. She spent many hours crafting one of a kind wedding dresses for her daughters. There was no garment she couldn’t design or repair. 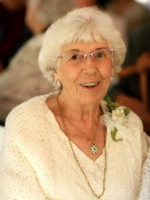 In her spare time she enjoyed working in her flower gardens, bird watching, making crafts, reading, scratch off lotto tickets, doing puzzles and playing board games and cards with the girls on Thursdays. In 1990 she married Ronald Roman who passed away in 1995. Surviving are her children, Daniel (Sherri Kuiper) Holmes of Plainwell, Deborah (Keith) Todd of Otsego, Denise (Robert) Golm of Byron Center, Darlene (Robert) Enos of Otsego and Jackie (Marvin Jr.) Fox of Plainwell; grandchildren, Shelby, Josh, Paul, Jonathon, Alan, Jennifer, Heather and Haley; 3 great-grandchildren; her twin brother, Bill Fenner; siblings, Fran Kennicott, Cathy, Linda, Kim, Carl and Vicki along with many nieces and nephews. She was preceded in death by her parents; husband; granddaughter, Dana and siblings, Clifford Fenner and Sharon Meacham. Friends may meet with Bev’s family from 10-11 A.M., Thursday, December 28, 2017 at the Winkel Funeral Home, Otsego with a time of sharing at 11:00. Burial of ashes will take place at South Martin Cemetery in the spring. In lieu of flowers contributions in memory of Bev may be made to the Allegan County Animal Shelter. Ben passed away Wednesday, December 20, 2017 at Rose Arbor Hospice. He was born September 4, 1930 in Otsego the son of Jake and Anna (Badalamenti) Pirrone. A graduate of Otsego High School he attended St. Francis School of Art. Ben had worked as a graphic designer with Sugden Studios, Brown Company (James River), Merchant Publishing Company and Ben Pirrone Photography. 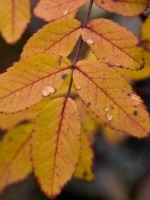 In his spare time he enjoyed painting and photography. Ben was a member of the Kalamazoo Institute of Art and the Portage Senior Center. On March 25, 1950 he married Alice Wearmouth who passed away on February 11, 2004. Surviving are his children, Christofer Michaels of Lansing, Teri (Larry Maycock) Coburn of Kalamazoo and Jeff (Sheryl) Pirrone of Otsego; four grandchildren, James (Erin) Coburn of Parchment, Crysta (Greg Pizzino) Coburn of Ypsilanti, Eric Pirrone of Otsego and Jena (Tony) Sposato of Wayland; 6 great grandchildren; 2 brothers, James (Merikay) Pirrone of South Carolina and Jock (Laurie) Pirrone of Middleville; sister, Josephine (Tony) Megna of Grand Haven; many nieces and nephews and his companion, Becca the cat. He was preceded in death by his parents; wife; son-in-law, Dave Coburn; brothers, Benjamin Pirrone and Joseph Pirrone and sister, Mary Marciniak. Friends may visit with Ben’s family from 4-7 P.M., Friday, December 22, 2017 with a rosary at 6:30 P.M. at the Winkel Funeral Home, Otsego where a funeral service will be held at 11:00 A.M., Saturday, December 23, 2017 with Rev. Fr. Simon Manjooran officiating. Burial will follow at St. Margaret’s Catholic Cemetery, Otsego. Contributions in memory of Ben may be made to the National Multiple Sclerosis Society or the American Heart Association. Herbert passed away Saturday, December 16, 2017 at his home in Otsego. He was born November 24, 1929 in Wyoming Township the son of George and Beatrice (Castle) Newton. Herbert proudly served his country in the US Army. For 40 years he had worked at Plainwell Paper until his retirement in 1991. In his spare time Herbert enjoyed ice fishing, hunting, woodworking, going for walks and working in his vegetable garden. On August 20, 1977 in Otsego he married Marjorie Town who survives. Also surviving are his children, Barb Cowen of Otsego, Jerry (Lauri) Connor of Otsego, Mary (Jay) Smith of Otsego, Raymond (Trish) Connor of Wayland, Danny (Diane) Conner of Otsego, Rick (Renee) Newton of Caledonia, Randy (Lori) Newton of TN, Tammy (Gary) Newton of Watervliet and Robin (David) Hughes of Plainwell; many grandchildren, great-grandchildren, and great-great-grandchildren; special great-granddaughter, Sara; siblings, Eileen, Mary and Robert along with several nieces and nephews. He was preceded in death by his parents and siblings, Bruce, Emory, George, Gladys, Elizabeth, Agnes, Alice and Beatrice. His son Herbert Jr. has also passed away. Contributions in memory of Herbert may be made to Wings of Hope Hospice. 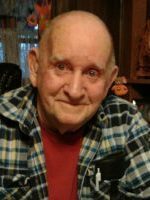 David Joe Coy of Watson Township, MI passed away Thursday, December 14, 2017 at Butterworth Hospital in Grand Rapids. He was born March 7, 1952 in Sturgis the son of Dwight and Madonna (Dauber) Coy. For many years Dave had been a respected salesman and installer of food service equipment. He was an avid harness horseman and enjoyed working on the farm with horses. Dave was a big sports fan and as a young man had played football for Sturgis High School. He liked following Notre Dame Football and playing fantasy football. Dave was a very loving husband, brother and brother-in-law. In 1974 he married Joanne O’Neill who survives. Also surviving are his brother, Jim (Sandi) Coy of Port St. Lucie, Florida; several nieces, nephews, great-nieces and nephews; his Uncle Calvin and many cousins. According to his wishes cremation has taken place. A private graveside service will be held at a later time at Hicks Cemetery in Watson Township. Contributions in memory of Dave may be made to Wings of Hope Hospice. Sally passed away unexpectedly on Tuesday, December 12, 2017 at Bronson Hospital in Kalamazoo. She was born December 23, 1948 in Kalamazoo the daughter of Henry and Alberdena (Vellinga) Rossman. Over the years Sally had worked at Gibson Guitar, Judy’s Restaurant, Weight Watchers and the Red Brick Inn. She had also co-owned Bruns Transportation in Allegan. Most recently Sally had worked at Perrigo, Allegan County Community Mental Health and at the VFW Post #3030. In her spare time she enjoyed gardening, mushroom hunting, fishing, and going to the casino. Sally loved cooking large meals for her family and attending her grandchildren’s many activities. She was an active member of the VFW Post #3030 and the Otsego Moose Lodge. Surviving are her children, Dean (Lisa) Prowse of Portage and Jennifer Horrocks of Otsego; grandchildren, Zach, Rachel, Nick and William; grand dog, Burton; brother, Hank (Marilyn) Rossman of Indiana; niece, Cara; nephew, Matt along with several great-nieces and nephews. She was preceded in death by her parents and nephew, Eric Rossman. Friends may meet with Sally’s family from 2-4 P.M. and 6-8 P.M., Friday, December 15, 2017 at the Winkel Funeral Home, Otsego, with a funeral service at 11:00 A.M., Saturday, December 16, 2017 with Celebrant Bill Rose officiating. Burial of ashes will take place at Mt. Ever-Rest Memorial Park in Kalamazoo at a later time. Contributions in memory of Sally may be made to the Michigan Special Olympics Area 11 or to the Salvation Army. Jack passed away Thursday, December 7, 2017 at Borgess Medical Center in Kalamazoo. He was born August 22, 1940 in Kalamazoo the son of John and Maxine (Pierce) Kubizna. For 30 years Jack had been a truck driver for ICX until his retirement. As a young man he had been a semi-professional pitcher and competitive bowler. Jack also enjoyed golfing and had been the manager at Hidden Valley Golf Course. In his free time he liked fishing, camping and following the Detroit Lions, Red Wings and Tigers. Most of all Jack loved spending time with his family. On September 28, 1968 he married Charlene Bourdo who survives. Also surviving are his children, David (Stephanie) Kubizna of Kentwood, Lawrence Kubizna of Kalamazoo and Erik Watkins; 11 grandchildren; 1 great-grandchild; siblings, Perry, Mike, Debbie and Dorothy along with many nieces and nephews. He was preceded in death by his parents, in-laws and brothers, John and Gary. A celebration of Jack’s life will be held at a later time. 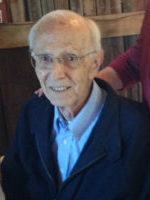 Contributions in memory of Jack may be made to St. Francis Church of Orangeville, MI. Roy passed away Sunday, December 3, 2017 at the Wings Home in Allegan. He was born May 19, 1941 in Tyronza, Arkansas, the son of Benjamin and Myrtle (Qualls) White. Roy proudly served his country in the US Army. 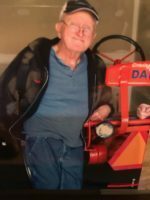 For over 30 years he had worked as a heavy equipment mechanic at Rieth-Riley Construction and had worked for 5 years at Kenworth retiring in 2016. In his spare time Roy enjoyed being outdoors, fishing, gardening, camping, working around his house and yard, raising chickens, driving trucks and following NASCAR especially Bill Elliott. Most of all Roy loved spending time with his family and giving golf cart rides to his grandchildren and his best friend Dixie his beloved lab. Roy attended the Shelbyville United Methodist Church. On November 3, 1962 he married Nancy Schultz who survives. Also surviving are his children, Shawna (Tod) Steele of Kalamazoo, David (Laurie) White of Hickory Corners, Patty (Steve) Hover of Plainwell and Stacy (Jeff Laylon) Simpson of Plainwell; 12 grandchildren; 5 great-grandchildren; his sisters, Ann Vaughn, Christine Grant, Martha McClellan; many special nieces and nephews and his dear friends, Lyle and Mary. He was preceded in death by his parents, 2 brothers and a niece. Friends may visit with Roy’s family from 5-8 P.M., Wednesday, December 6, 2017 at the Winkel Funeral Home, Otsego. A funeral service will be held at 10:00 A.M., Thursday, December 7, 2017 at the Shelbyville United Methodist Church with Pastor Sean Kidd officiating. Burial will follow at Fort Custer National Cemetery, Augusta. In lieu of flowers contributions in memory of Roy may be made to the Wings Home in Allegan.